This is a MEMBERS ONLY event offered to members of the CFMA Sacramento Chapter. 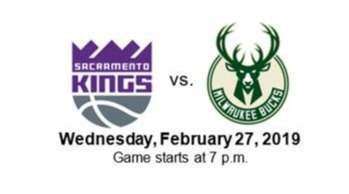 CFMA Sacramento has secured a total of 50 tickets to the Kings vs Milwaukee Bucks game on Wednesday 2/27/19. Ticket includes 2 hour mixer with drinks and snacks at Punch Bowl Socialfrom 5PM - 7PM, before heading Golden 1 Center to watch the Sacramento Kings take on the Bucks.